After White House Press Secretary Sarah Huckabee Sanders took the lectern, she introduced a “special guest” and instructed the press to “tune in” to the monitors placed on either side of her. 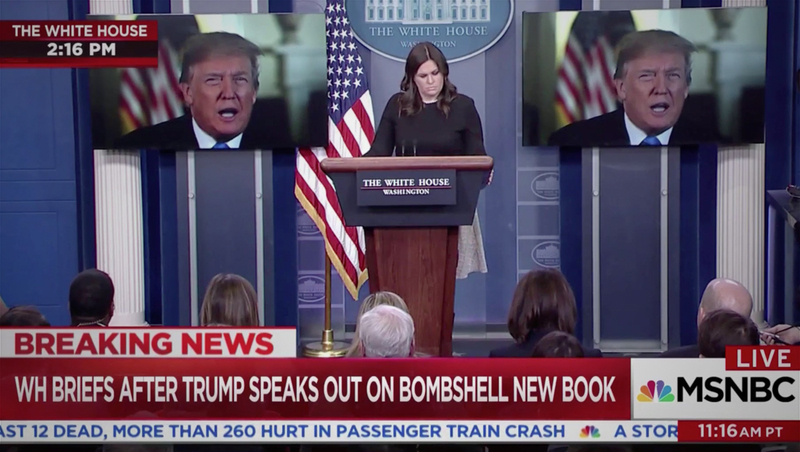 The pool camera then pulled out to show Sanders standing at the center and Donald Trump’s taped message playing simultaneously on both screens. 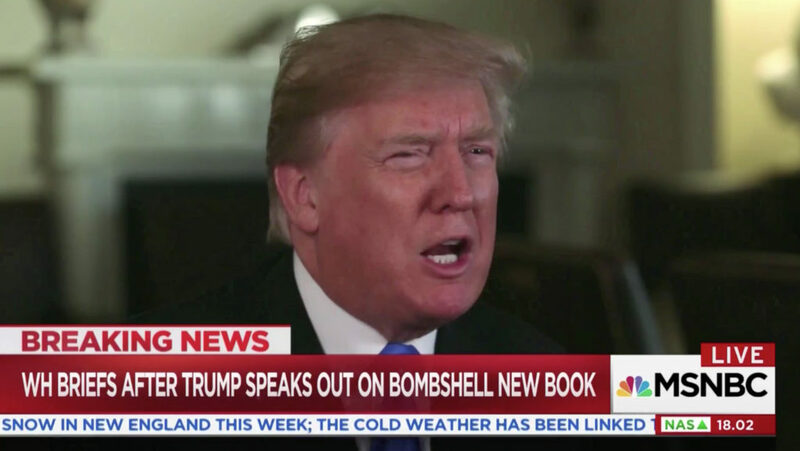 The taped message’s feed was, as is typical, also provided to the networks, but MSNBC, perhaps partially due the fact that the shot of Trump was awkwardly framed, making much of his face hidden by the lower thirds. 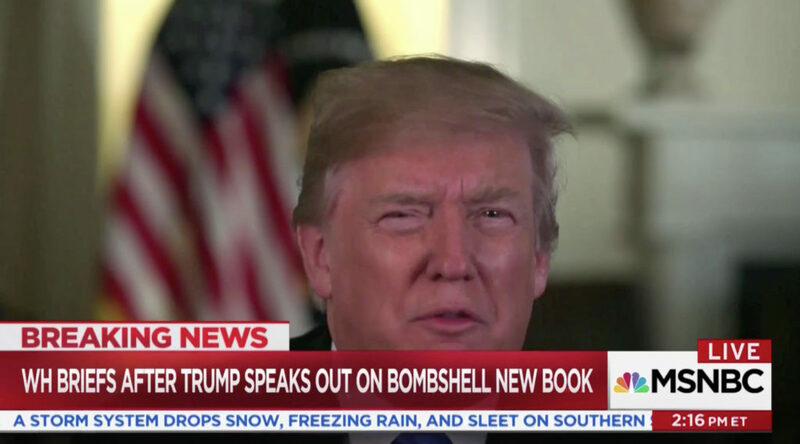 The taped message also interspersed a off-axis shot of Trump that was awkwardly edited in. Thanks to it using the wide shot for much of the time, Sanders was also visible standing at the lectern awkwardly as the video played — even appearing to tap her fingers impatiently for a brief time. The whole setup was made possible thanks to the modular background panels in the White House briefing room. The video panels, which are removable, previously gained infamy when former press secretary Sean Spicer used them to showcase photos of Trump’s inauguration crowd.